Jennifer Lopez a.k.a. J-Lo a.k.a Jenny on the Block, the soon-to-be ex-Mrs Marc Anthony, a.k.a the lady that managed to get the whole world fixated on her rear end has done it again by unseating former talk show queen, Orpah Winfrey as Forbes most powerful celebrity in the world. Thanks to J-Lo’s new TV presence which includes a judging role on American Idol, and two reality TV shows of her own, a deal with Fox Network, and a revived music career, she’s made it to the top of the Forbes list. 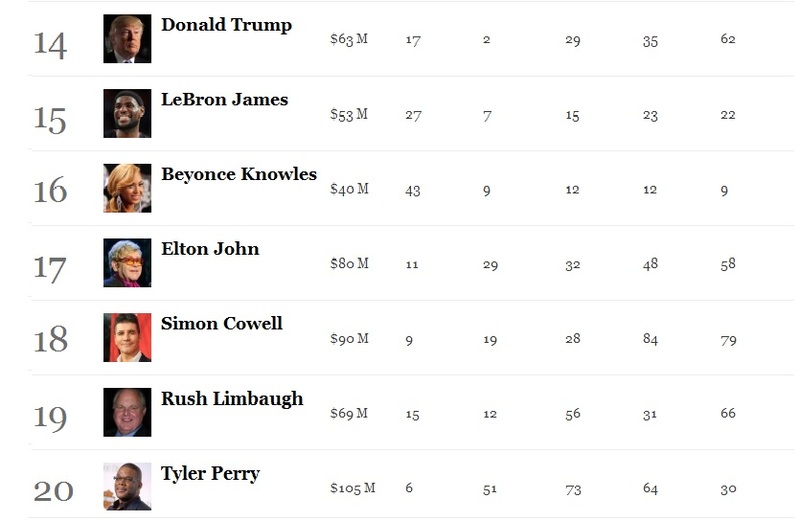 It also seems that last year was a good year for female celebrities in general: 7 of the top 10 celebrities were female. 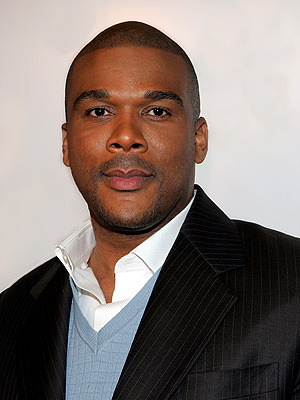 Tyler Perry makes an appearance at No. 20, which is a bit disappointing, coming on the fact that he was named as the highest earner in Hollywood last year. What’s also very surprising is that Rihanna beat Beyoncé by a stunningly large margin (8 places) even with the arrival or “Beyby” Blue Ivy, the pregnancy is-she-or-isn’t-she debate. I guess a lackluster album showing can never beat cavorting around half-naked in a field. Tiger Woods can keep his head up, even though he hasn’t won a single thing (okay, so he’s won one), in the last year. Still, Nike holds on to him for dear life and he made a fairly decent showing on a couple of occasions. And finally Kim Kardashian at number 7? What horror has Ryan Seacrest wrought on the world?! 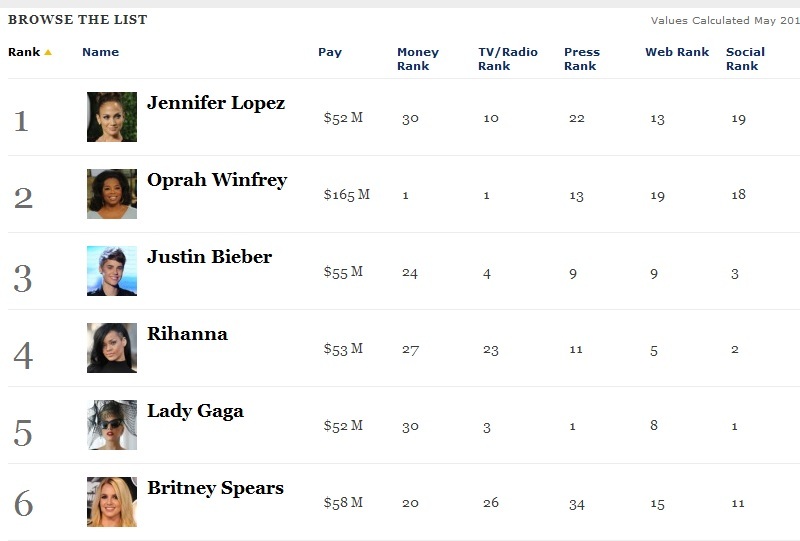 That, however is the least of it – J-Lo’s more powerful than Oprah (who has more money, more social media numbers and more influence still)? You said the first 8 of the top 10 are women. Er, I know it's hard to believe, but Justin Bieber is male and he's number 3. Just though to point that out.